What influences have shaped air power since human flight became a reality more than a hundred years ago? 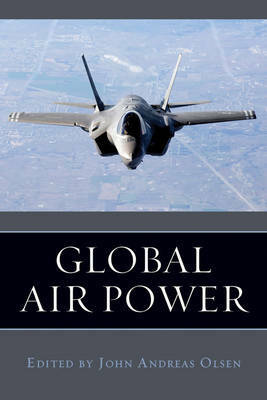 Global Air Power provides insight into the evolution of air power theory and practice by examining the experience of six of the world's largest air forces-those of the United Kingdom, the United States, Israel, Russia, India, and China-and of representative smaller air forces in Pacific Asia, Latin America, and continental Europe. The chapters, written by highly regarded scholars and military leaders, explore how various nations have integrated air power into their armed forces and how they have applied air power in both regular and irregular warfare and in peacetime operations. They cover the organizational, professional, and doctrinal issues that air forces confronted in the past, the lessons learned from victory and defeat, and emerging challenges and opportunities. Further, Global Air Power supplements the traditional military perspective with examinations of the ideological, economic, and cultural factors that give air forces their distinctive characters. Chapters show how the interplay among these internal factors, together with external challenges, determines the structure, role, and effectiveness of air forces. Together, these chapters illuminate universal trends as well as similarities and differences among the world's air forces. Its combination of military history and sociopolitical analysis makes Global Air Power especially valuable to a broad range of historians, air power specialists, and general readers interested in national defense and international relations.